Lately, I’ve received some questions from readers about sourcing. So here we go. NO INFORMATION AT ALL. Just a company website. When I was a DIY home decorator, this happened to me a lot, especially in the realm of fabrics and wallpapers, but also whenever I looked for the coolest things I saw in furnishings, lighting, art, and accents. 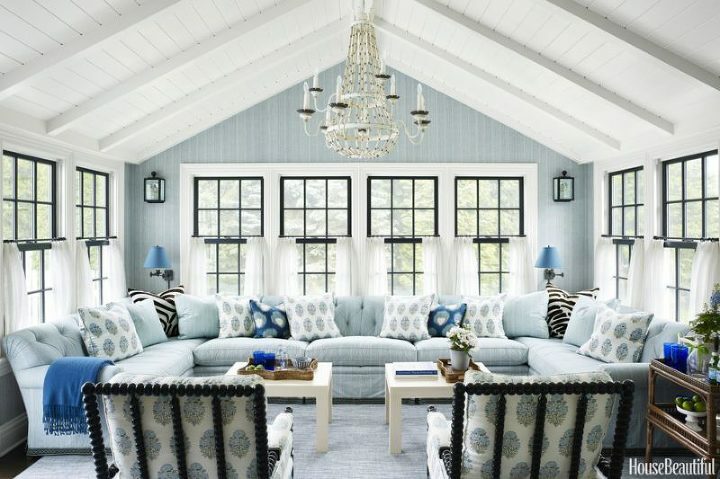 That fabulous window treatment fabric is from Villa Nova. It’s not even expensive, but you cannot get it unless you have a trade account. A designer/blogger colleague of mine just used the same fabric to back some GORGEOUS chairs. Check them out here. I also really love Villa Nova’s Aylin Collection. Beautiful jacquard weaves at super reasonable prices. 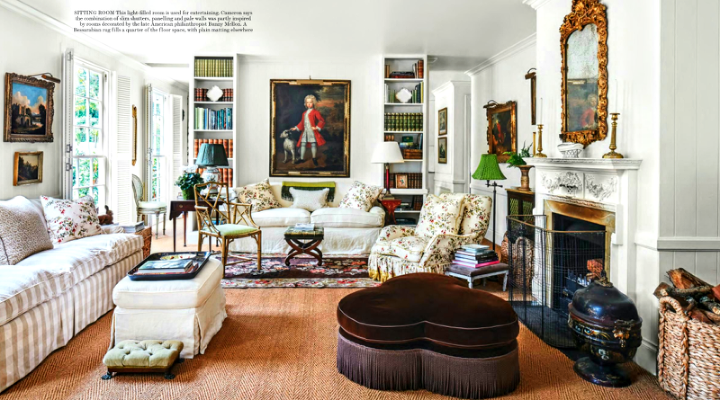 Love that classic English country house chintz look, like in Cameron Kimber’s home from the January 2018 House & Garden? He used Fuchsia Union by Colefax and Fowler, and yup! You guessed it. No place to get it online. Trade only. And don’t even get started on those beautiful hand-block printed fabrics and wallpapers by Peter Dunham, Galbraith & Paul, Sister Parish, Quadrille, Mally Skok, etc. You just can’t get them online. There are lots of online retailers making more and more to-the-trade options from popular vendors like Made Goods, Oly, Currey & Co., Bungalow 5, etc. available direct to consumers, but they charge a hefty markup and only offer companies’ most popular options. Here’s another example — Wendover Art Group is a wonderful source for art available to designers with hundreds and hundreds of pieces, but you as a consumer can’t get beyond the homepage. Wendover licenses works from artists to reproduce, but it makes-to-order and hand details its pieces to look like originals. Moreover, any single piece can be proportionally SIZED UP OR DOWN TO FIT YOUR SPACE, and the price is scaled up or down accordingly. Awesome. Shop Candelabra offers about 200 pieces from Wendover. We won’t talk about the price difference from designer pricing (huge), but you also don’t get the sizing benefits from an online retailer. The above painting is 50″ x 50″ and is available through Shop Candelabra. What if it is perfect for your space, but you need 30″ x 30″? Sorry, with online, you’re out of luck. P.S. I did a little sniffing around. If you love the above, it’s the perfect size, you don’t have direct access to Wendover, and you would rather buy direct from the artist than shop Big Box, you can find it here. One of my newest vendors that my clients are liking and that you can’t purchase online at all is Horizons Window Fashions. I primarily use it for natural shades, and it has a huge number of colors and patterns. You can also custom trim the shades in any COM (customer’s own material) fabric or trim you want. So if you want the trim on your shades to match the trim on your bed’s dust ruffle — done! The thing I like best is that you can order a separate operable lining, privacy or blackout, for the same price as an attached lining. You can have both filtered light and total opacity. I also love that the cordless option is the same price as using a standard cord cleat. This is great for kids’ rooms, or anywhere else you don’t want the hassle/danger of a dangling cord. MSRP prices before designer discounts compare to Smith & Noble. Let’s talk upholstery. I never recommend Big Box for upholstery, and here is why. The below sofa from Restoration Hardware. You can choose various solid color fabrics. The description of the construction sounds ok, but no word on where it is made. I priced out the shortest size (72″), covered it in one of RH’s Perennials Performance Velvets (solid colors) for cozy spill-proofness, but used the cheapest cushion fill (poly-fiber wrapped around a foam core). The regular price is $4,295. Member price is $3,221. Then I took the below sofa from one of my North Carolina vendors, C. R. Laine. While it is similar, I feel the proportions are much more classic and human-scaled. I added in upgrades for spring-down seat cushions and feather-down back cushions. Then I chose this fabulous Crypton (soft, SUPER durable, yet spills bead up and blot away) chenille weave from Thibaut. I love it because it’s a fun and gorgeous pattern, but not too loud for an animal print. Sorry, I can’t actually show the sofa in this fabric, but the below is a general idea. The quality comparison — the C.R. Laine will last 20 years before it needs recovering… and it will be worth recovering. The price savings over RH member price — let’s just say they are significant. The style points — immeasurable. But can you order this kind of high quality + customization online? So — if you’re looking to obtain these unobtainable awesome designer-only things for your own home and trying to shop online, what can you do? I think you can guess what I’m driving at. I think you can guess that at which I am driving. You have to work with a designer. 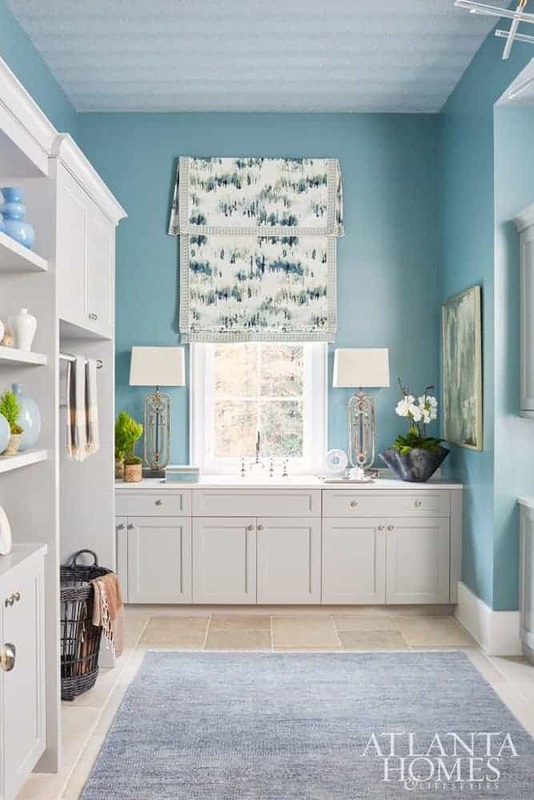 I started my business because I knew what I saw in the magazines didn’t come from a big box store and wanted to help families create their own unique, character-filled, and quality-furnished homes. 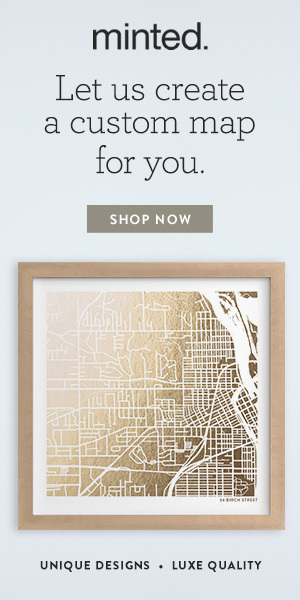 ….And let them know that the home they wanted wasn’t financially or stylistically out of reach. Malcolm Winyard. Wallpaper is Adam’s Eden by Lewis & Wood. I will always blog about and tout the benefits of finding cool discount home decor through auctions, eBay, Etsy, consignment, and a retail piece here and there — both to uncover unique items and to stretch the budget. But for some things, you just have to go to the source. I’m working on some posts about a way to spill-proof your *current* upholstery, a low-tech way to get your gallery wall just right (a way I haven’t yet seen online! ), and a simple builder-basic upgrade. ‘Til next Saturday!